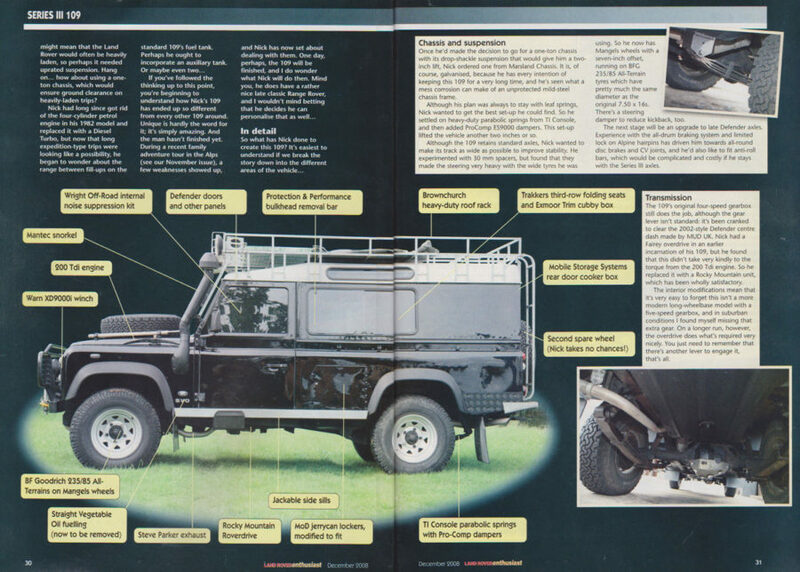 This site is dedicated to my eternal fiddling and tweaking of my 1972 Series III 109 inch Land Rover. I bought it in February 1992 and immediately set about a few repairs and a bit of tidying up and all these years later I’m still working on it! 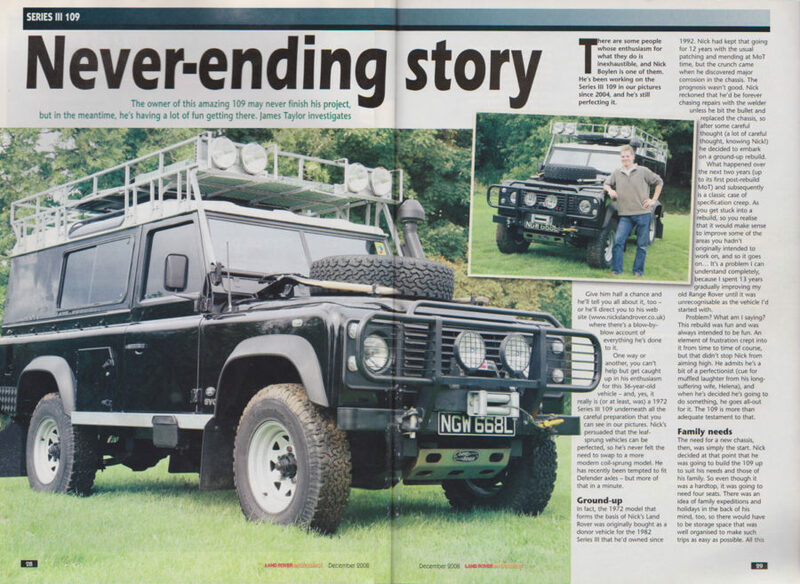 After years of minor rebuilds, in 2004 the discovery of some major corrosion led to a full ground-up rebuild. 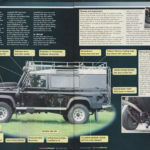 As this started, the specification started to creep, and many new features were incorporated in order to make it a highly usable combination of daily driver, family vehicle, expedition vehicle and general utility. 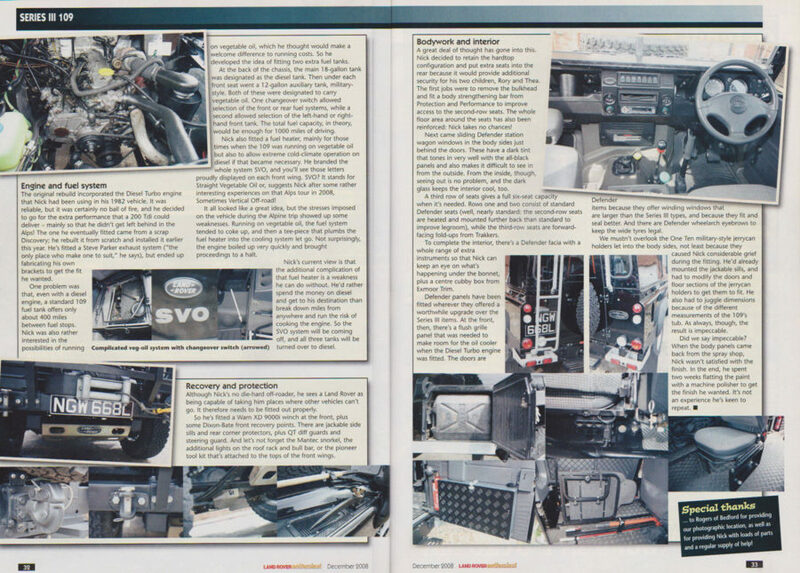 This multi purpose use leads to many compromises and is why the vehicle still continues to evolve after the rebuild as new ideas or new frustrations reveal themselves. I have acquired two more vehicles (the Range Rover and the Lightweight), which also have their own jobs. They are not subject to the level of work or alteration that the 109 has been, so they have their own smaller, more generalised blog sections. 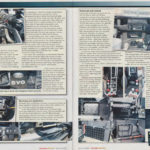 The “how to” guides on popular repairs or modifications to all three vehicles are included in the FAQ section. Please note, I am not a trader in vehicles or parts, and am not a garage providing repair services. 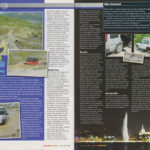 This site is to offer inspiration, technical information and ideas to other Land Rover enthusiasts, helping others learn from my experiences over twenty years, both positive and negative. I write about what has and hasn’t worked for me – I cannot promise that the same ideas will work for your vehicle. 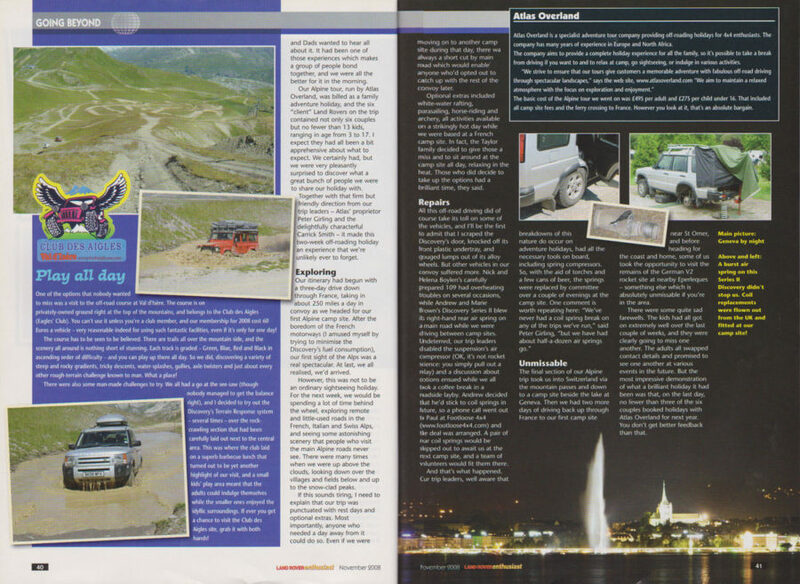 In the mean time, I thought I’d scan and post up a couple of magazine articles from 2008, since they came up in a discussion recently and the magazine (LRe) is sadly long since gone. 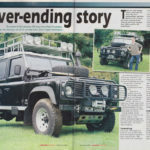 There are two articles by James Taylor, an absolute gentleman and walking encyclopedia of not just Land Rover but Rover too. 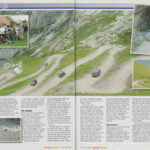 The first is about the vehicle as it was in 2008 (unfortunately had a handful of inaccuracies at the time) and there have been several significant modifications since then, including the coiler axles, suspension tweaks, disc brakes, alloys, low range gears and PAS. These are the top three images below. 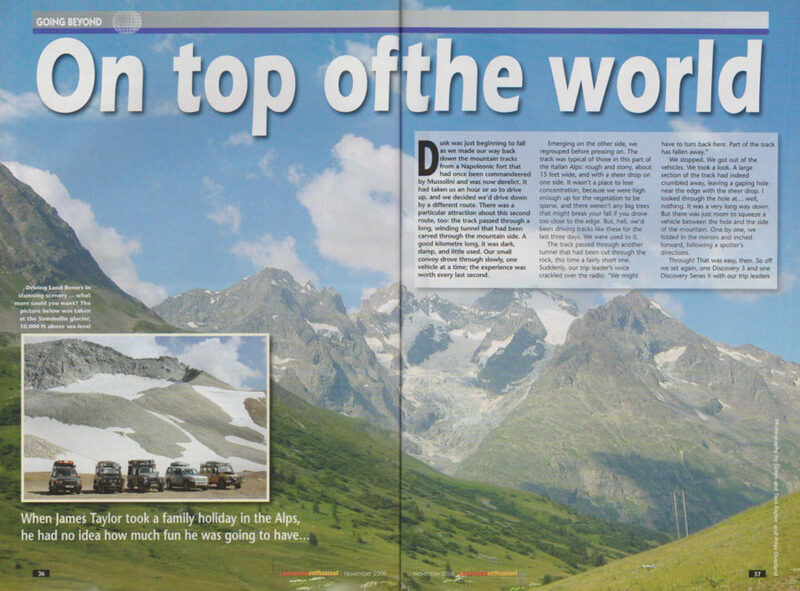 The second article is about the Alpine trip, already covered in the blog at the time, on which we first met James and his family. The overheating issues mentioned all happened on the first day off road and were of great concern, but were quickly found to be due to the electric fan being mis-sold and mis-packaged as a puller that sits behind the rad rather than the pusher, made to sit in front of the rad, so it was fighting the ambient airflow rather than boosting it- it was sorted in minutes with a fan rotor flip and electrical polarity reversal and has never posed an issue since, but is a good learning point of not trusting the labeling of such things, especially if made in China. 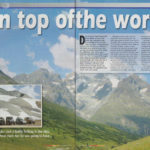 We learnt several other things on that trip about storage, tent choice and ruggedness/reliability issues of several LR models that we still apply to vehicle purchases today, principally mechanical and electrical simplicity and non-interconnectivity – I don’t like designs where a failure in one system will knock out several others. 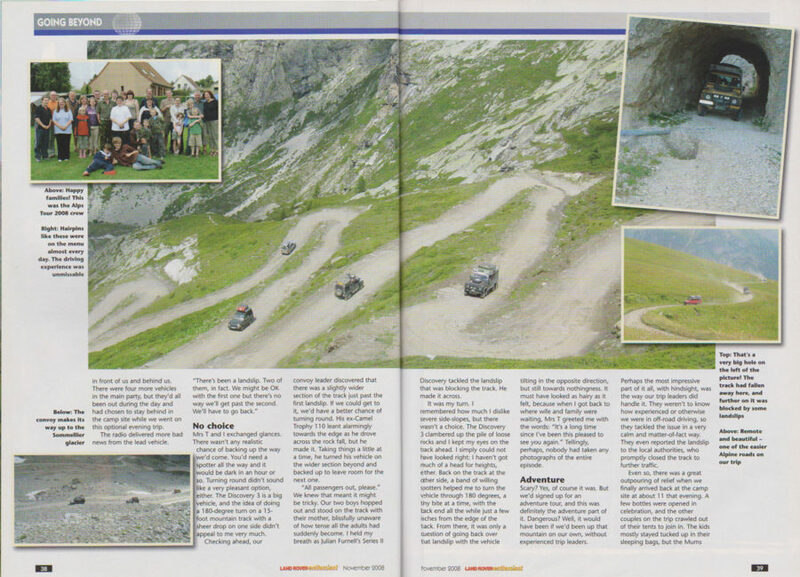 The trip was superb, the driving, the sights and the participants. I intend to do similar trips to Scandinavia, Portugal, Corsica/Sardinia/Malta, and would love to try Canada and Australia if I can ever afford the shipping.